500 MHZ - 40 GHz. Channel Bandwidth up to 4:1. Part Number X-Over freq. GHz I. Loss dB X-Over region Attn. From X-Over VSWR max. 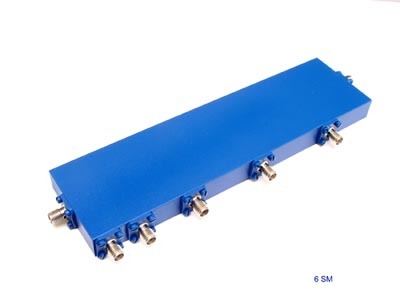 1- For extended passbands or different crossover frequencies contact the factory. 2- Units are available within 60 dB rejection to within 7% of the crossovers. 3- Units can be designed with bandpass characteristics for the first and last channels. 4- Units with phase and amplitude matching are available. 5- Operating temperature range: -55 to +90 deg. C.
6- Consult the factory for size, outline drawings, connectors, etc.